I believe that falling in love never should be planned. That’s why it’s called falling in love... It just happens! When you trip or fall wherever, you don’t plan those stuff and sometimes you fall safely and there would be times when it will hurt like BIG TIME. We can never be sure of things especially when it comes to love but if we don’t take the risk, how can we find the right one? It’s scary, I know but it’s also exciting. Wait, can I just skip the scary part? Easier said than done – that’s what I always say. It’s easy to say forget and move on when you’ve loved and gotten hurt but it really does take time. Sometimes you just need to cry it all out and be emo and all about it just to take it all off your system. Moving on is not easy when you get hurt. Moving is on is the only choice but it really does take time and a support system – FRIENDS! Yey! BAM! It just happened. You know that “butterflies in your stomach” kind of thing especially when you’re staring at his eyes and he stares back and things just... Oh my. But moments like that are just moments until someone utters the magic words and we do have the choice to wait or to just blurt it out. But I guess I’m the waiting kind of girl so... Yeaaah. Vague stuff in my life but, hey, things are okay. I guess. Just go with the flow, I say. Enjoy life, live it well and have a freakin’ good time. And speaking of having a freakin’ good time, I would love to invite you all to the REV*E*LA*TION! 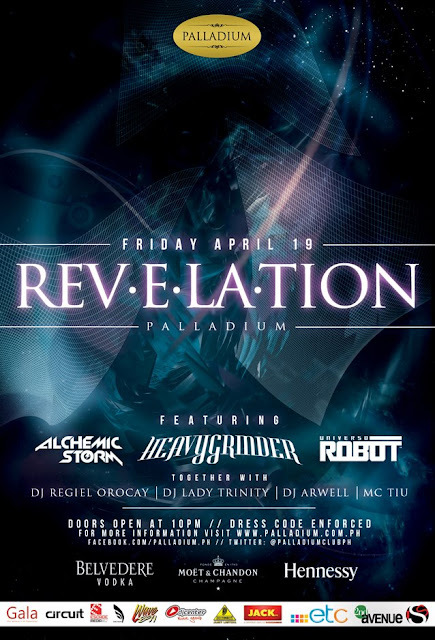 “THE BIG REVEAL” GRAND OPENING on April 19, 2013 at Palladium (New World Hotel, Makati City) featuring: DJ ALCHEMIC STORM, HEAVYGRINDER & UNIVERSO ROBOTO together with DJ Regiel Oracay, DJ Lady Trinity, DJ Arwell & MC Tiu on Mic! For guest lists and table reservations, you may contact Ash Santos at (0917) 9303991 or you can email me, send a message through Facebook, Tweet me, whatever. Haha! I’m going so I hope to see you guys there, okay? the bag is oh so cute! 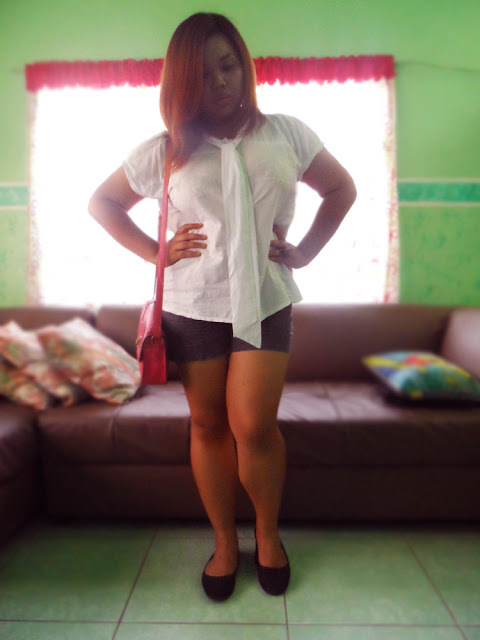 loving that you've been doing ootds lately this one is so adorable! :) you look so cute!